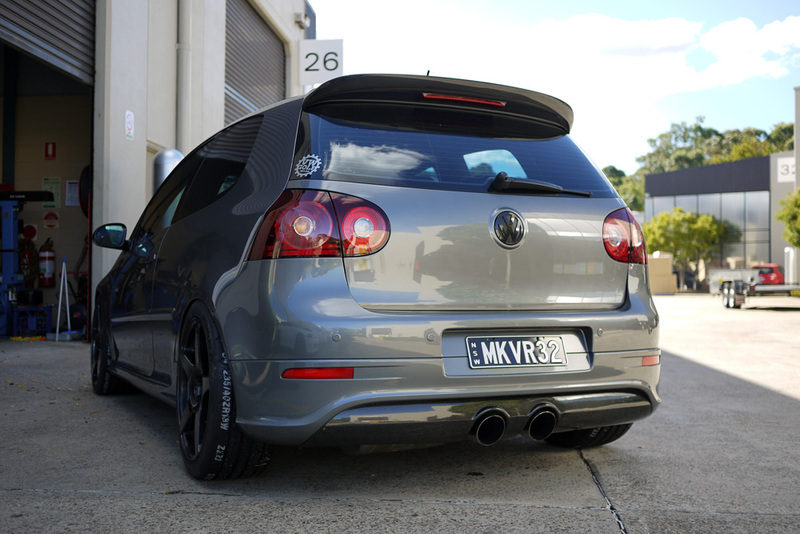 I'm now back in a MKV R32 which I bought off a fellow VWGolf.net.au Forum Administrator Jose (aka JIG). I'll get up to speed with a spec list and what I've done to date on it so far. MY08 VW Golf MK V R32 Coupe, 3 Door Coupe DSG. Last edited by Justin Fox; 06-06-2013 at 12:00 AM. What the car looked like on delivery. 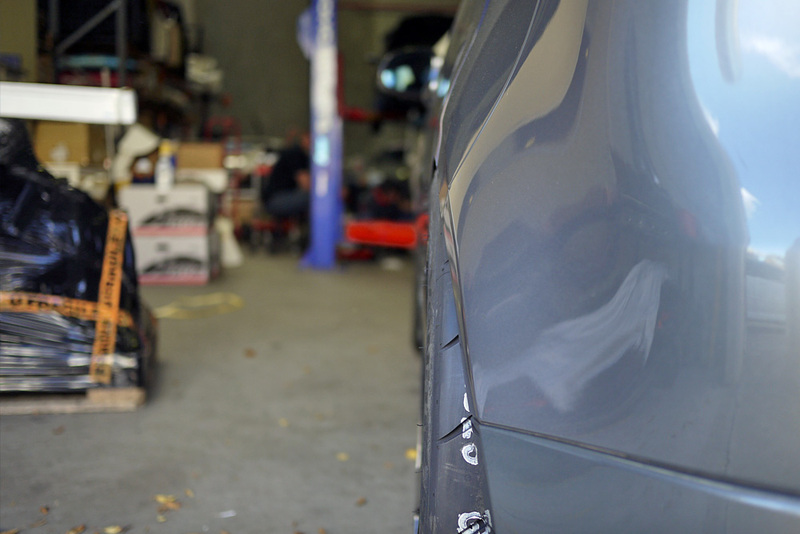 I got the boys at SMOG car wraps next door to help me remove the massive Ramspeed "Tattoo" on the drivers side of the car. 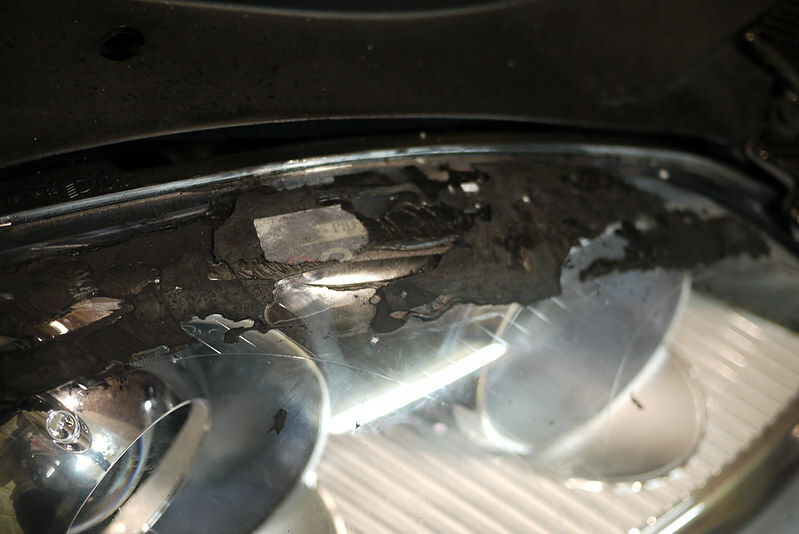 Unfortunately when trying to remove it, it lifts and damages the vinyl underneath. I had 2 options. Either pay to re-wrap the entire panel or take off all of the wrap. I thought I'd sleep on it, but after way too many drinks I yelled out at everyone still left at the party we were having at Zen Garage and asked everyone to help me remove the wrap (that's when the real party started HAHA!). In no time at all (10 minutes?!) the wrap was off, and damn the car looks way classier (IMHO) without the wrap. 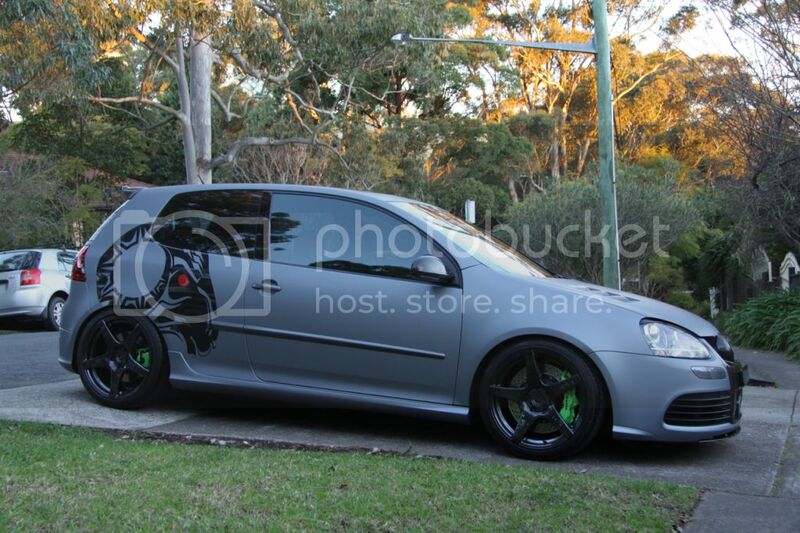 United Grey R32 Golf, Gunmetal Grey R32 GT-R. My garage is looking good! 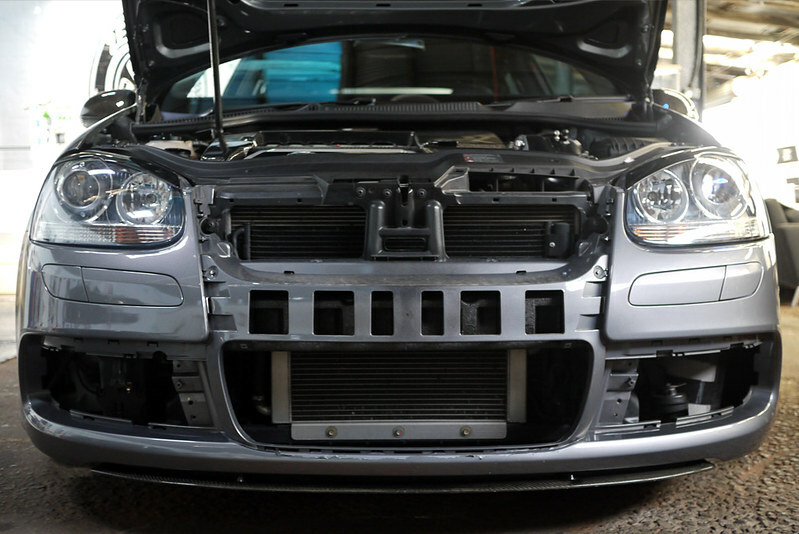 Next I had to remove bits of wrap from the grill area and get those eyelids off! These MASSIVE paddled had to go. Couldn't even get my fingers between them and the steering wheel as they were soooo close to the wheel (I was basically having to drive with the palms of my hands and fingers resting lightly on the paddles). S2T paddles installed. 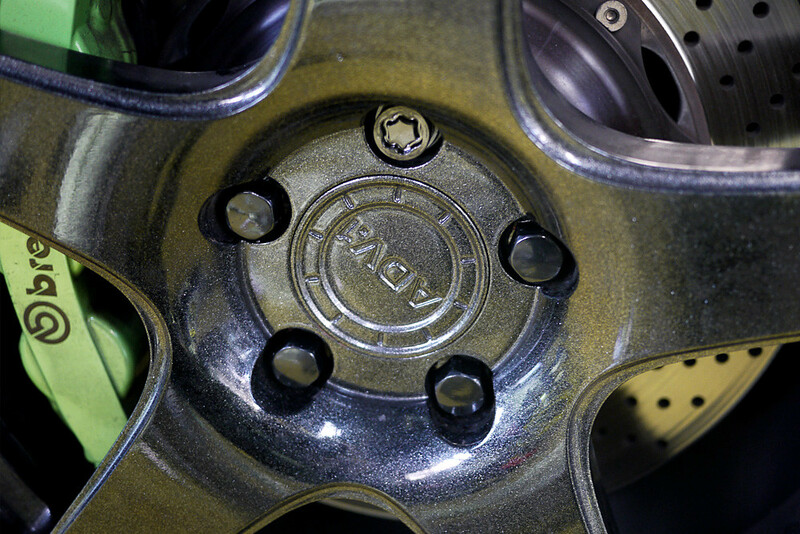 Had these on my GTI and LOVED them. Still do. 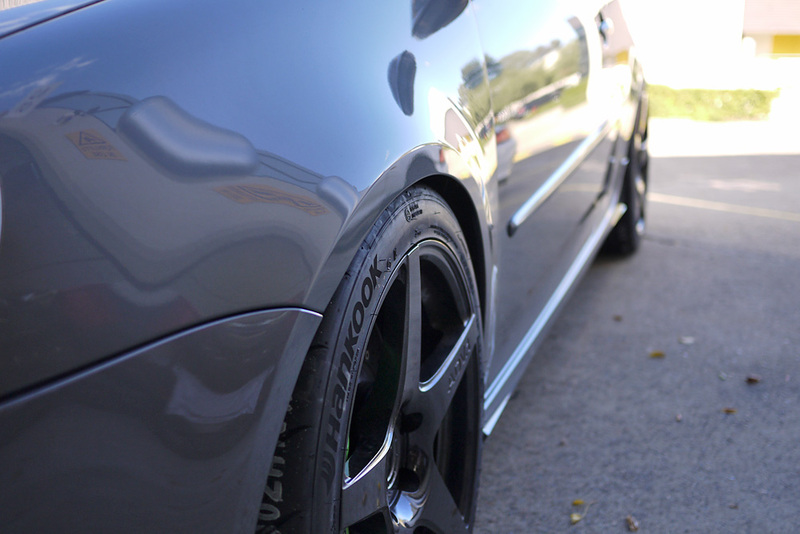 I ended up choosing to go with the Hankook Ventus R-S3. As aggressive as a street tyre gets. 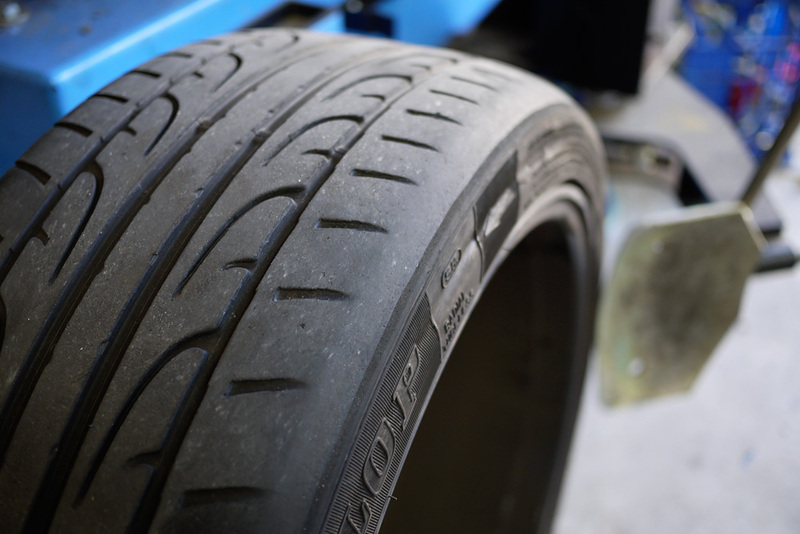 This tyre was used on the winning car in last year’s World Time Attack Clubsprint Class. 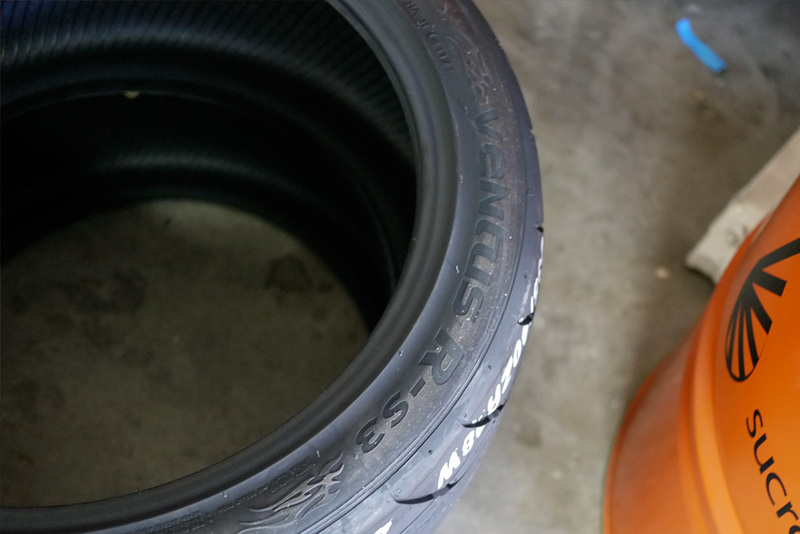 Only top shelf tyres for MKVR32!!! 235/40/18. The 225's on the car were stretched. 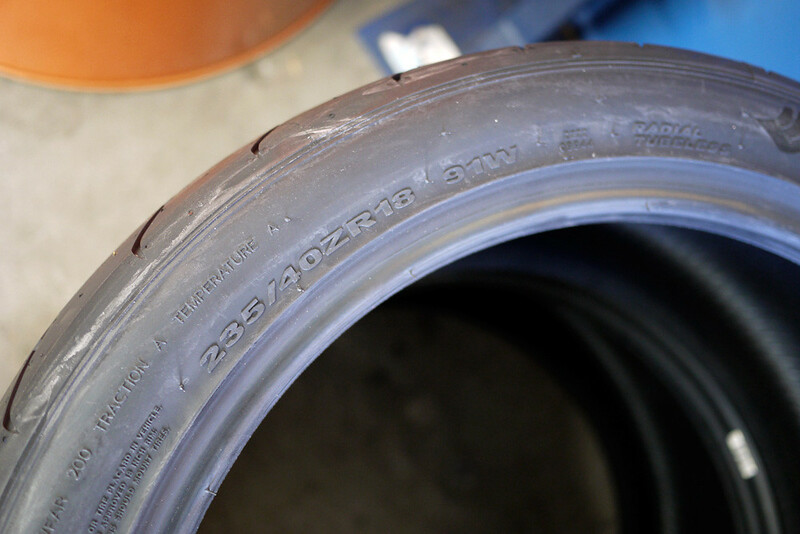 I hate stretched tyres so I was hoping these would look a lot fatter AND I've managed to get the right load rating too (not that it's ever been an important thing to me). New tyres. FAT! Now that's a LOT better!!! 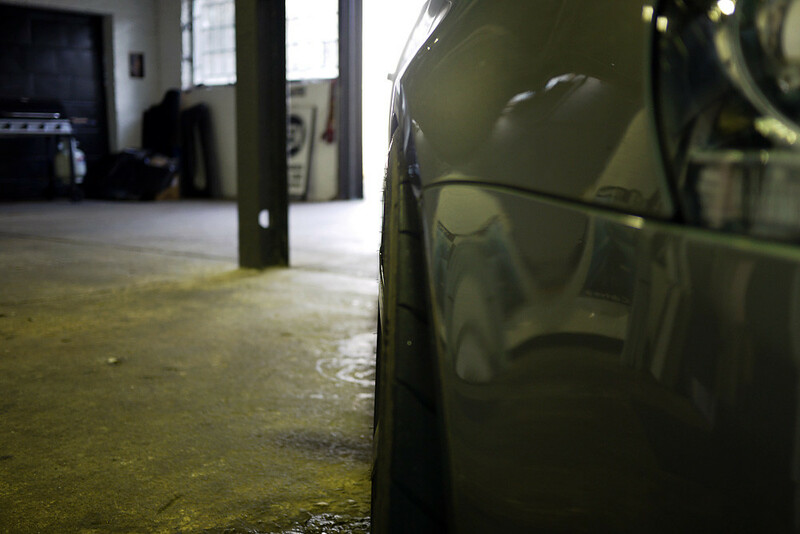 Rears are now looking pretty amazing. Old Dunlops. Camber ate away the insides. Had to hit Zi up for one of his elite coffees. 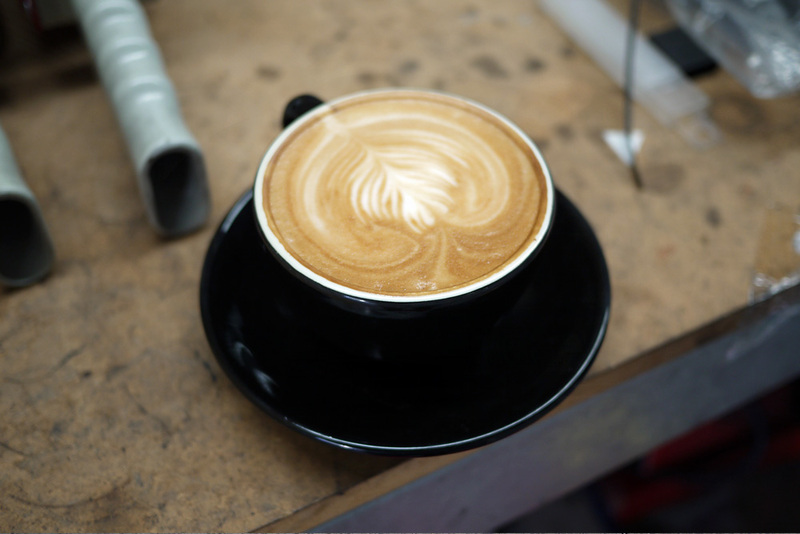 Best coffee I've had since Melbourne a few months ago. The BMC intake had to go. With it's opening at the bottom so close to the road it was always going to cause extreme paranoia in wet conditions. 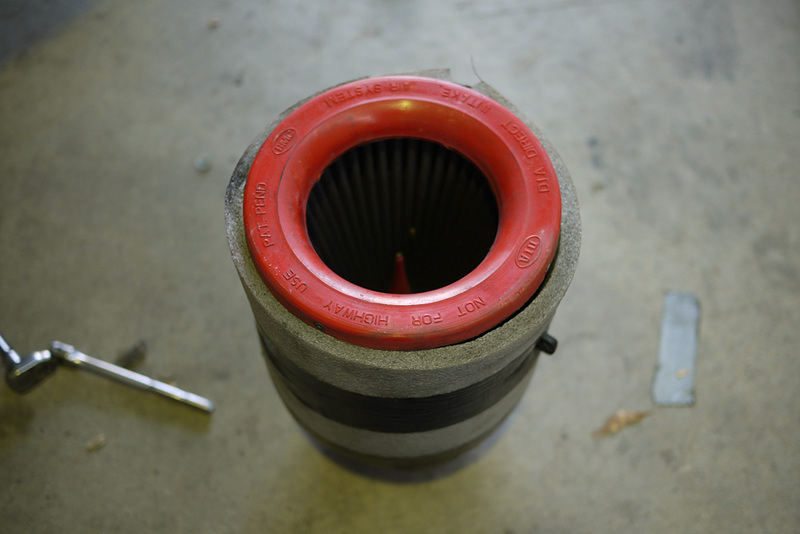 We went for an Injen pod filter with a Hydro-Shield pre-filter. 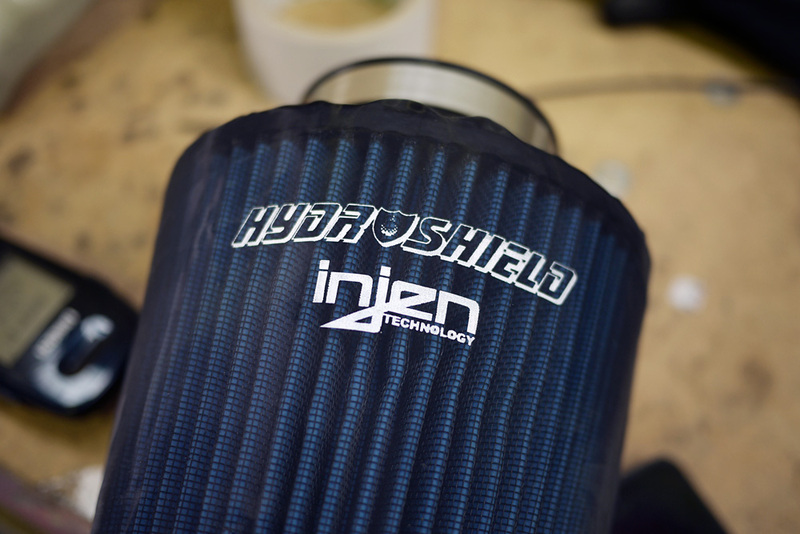 Injen Technology’s HYDRO-SHIELD PRE-FILTERS are race proven material manufactured from highly durable polyester. 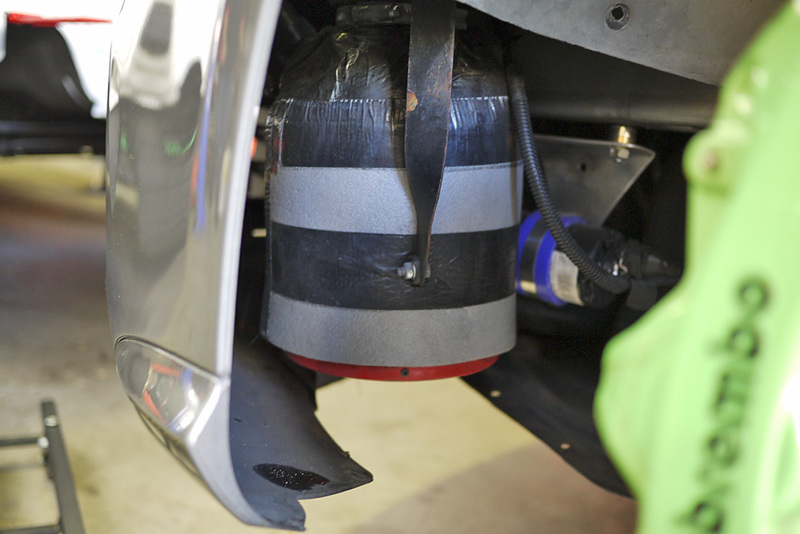 Uniform micron openings allow the filtering of debris .005” or larger. 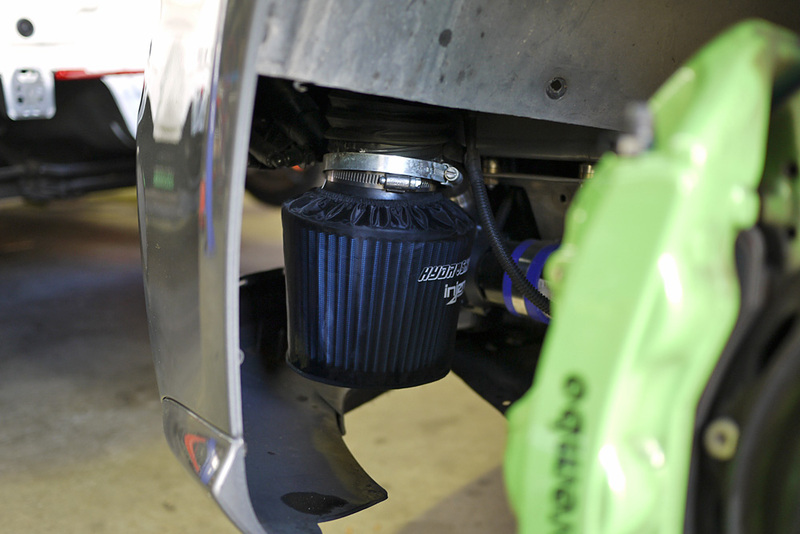 The HYDRO-SHIELD PRE-FILTERS are factory treated using an embedded hydrophobic process, which offers consistent airflow, water repellency and maintains horsepower gains. (Please note that this item is water repellent, not water proof). You can see it sits a bit higher than the BMC. Not pictured, but clamps were made to hold it in place securely afterwards. MUCH better air flow straight to the filter now. OK so I didn't get a chance to throw the car through corners to test out the tyres, but I'm confident they'll be amazing. On very big bumps the rears scrub in the very slightest. Bit of a shame but I have a hunch it'll go away as it's ever so slight (in comparison to what I've come across in the past on my MKV GTI!). 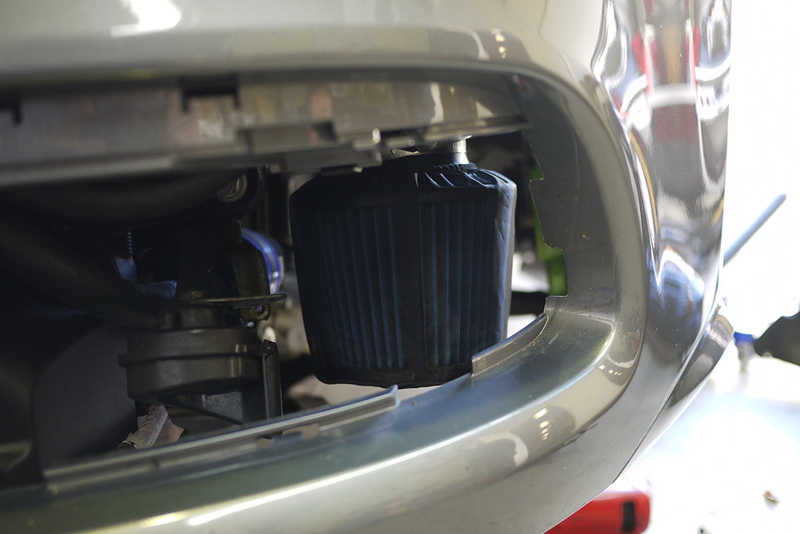 Intake has made everything louder! The supercharger whine is louder, the exhaust too. I'd say by about 5-10% louder and I LOVE IT! Could be my head playing tricks on me, but on launching it feels like all tyres want to let go now. I'm pretty sure this filter is helping the car to breathe a LOT better than the BMC. PS: Massive thanks to the JDMyard boys. John for fitting my tyres and Kiet for for the work with my intake. Beautiful. I've always liked this car, and it's nice to see it went to a good home. 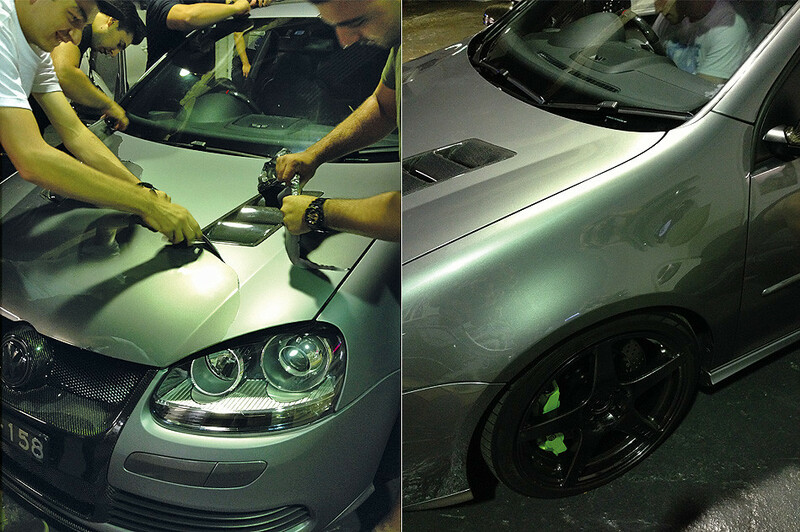 Too bad you couldn't keep the wrap, but the car looks great without it! Can't wait to see what else you have in store for it. moar pics of the girl plz. 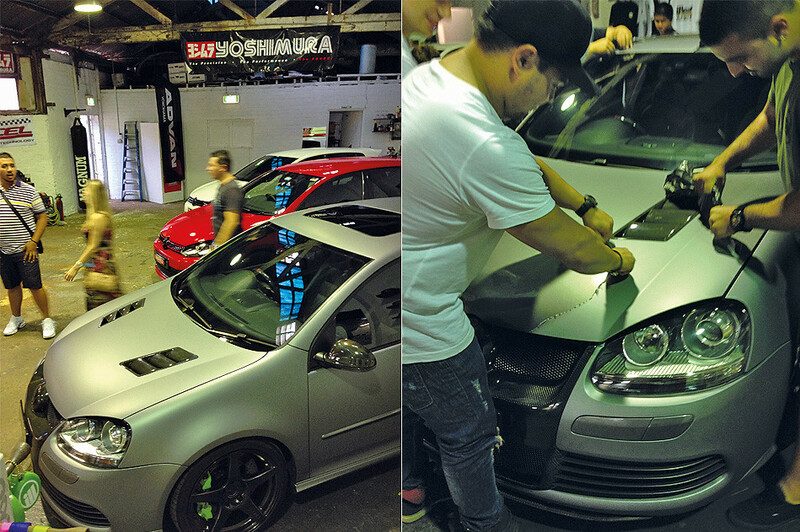 Wow, your GTI-build was truly inspirational! 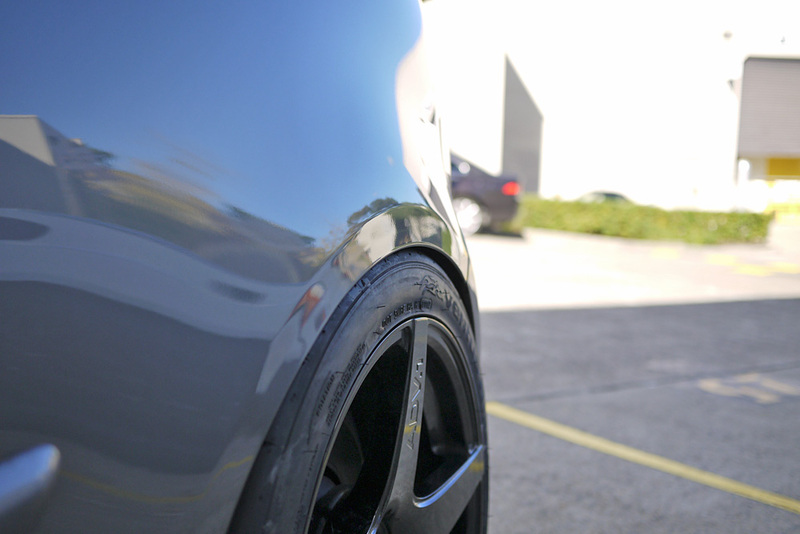 Looking forward for this too, tire fitment looks perfect. 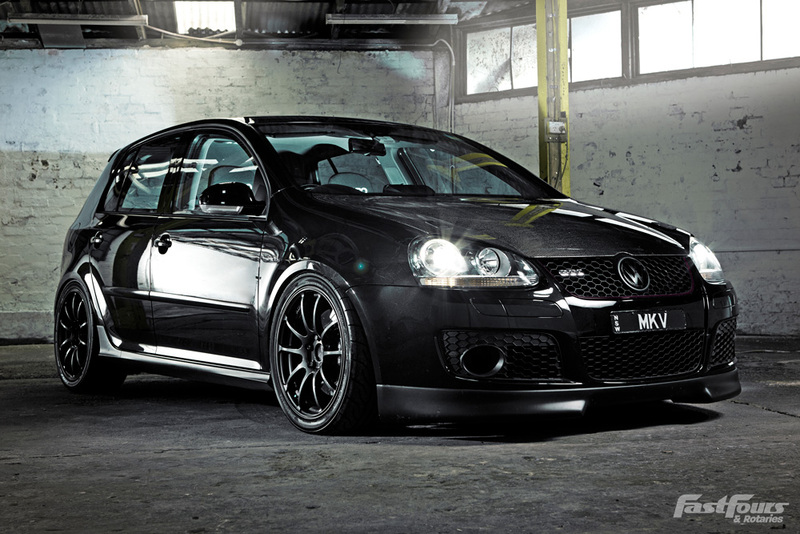 hei man,i remember your gti,the photoshoot with the white suga was absolut dope to my eyes!! 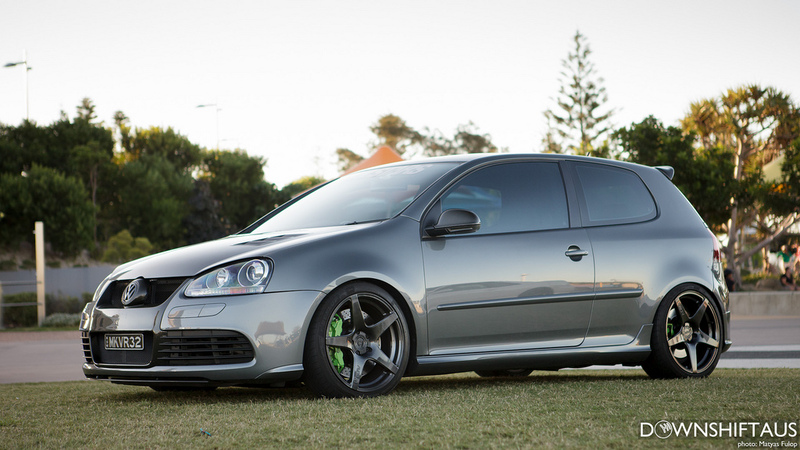 love the wheels on your r32 but i am not sure about the front.i dont know if i like it or not.. 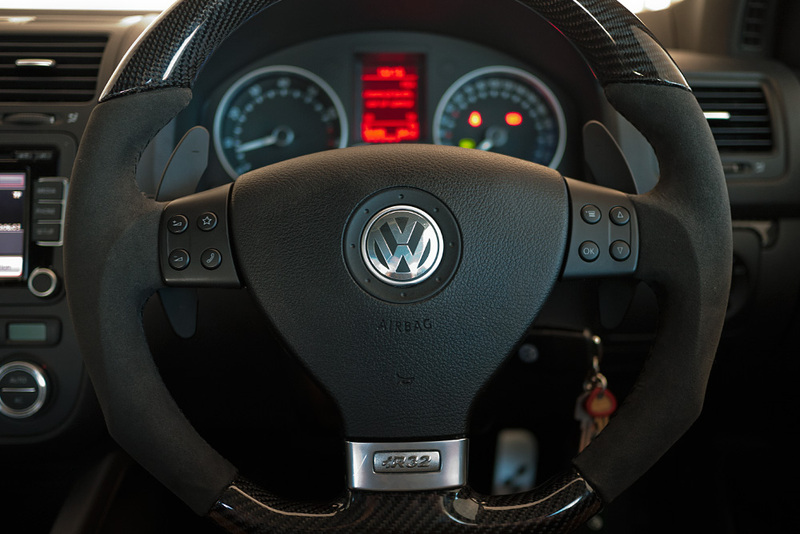 I want, nay NEED, that steering wheel. Who makes it? I own 3 cars, but only have a 2 car garage. Wow! Working, subbed for later. Happy to say that there's no more rubbing at all i the rears now. Must have worn the liner away! 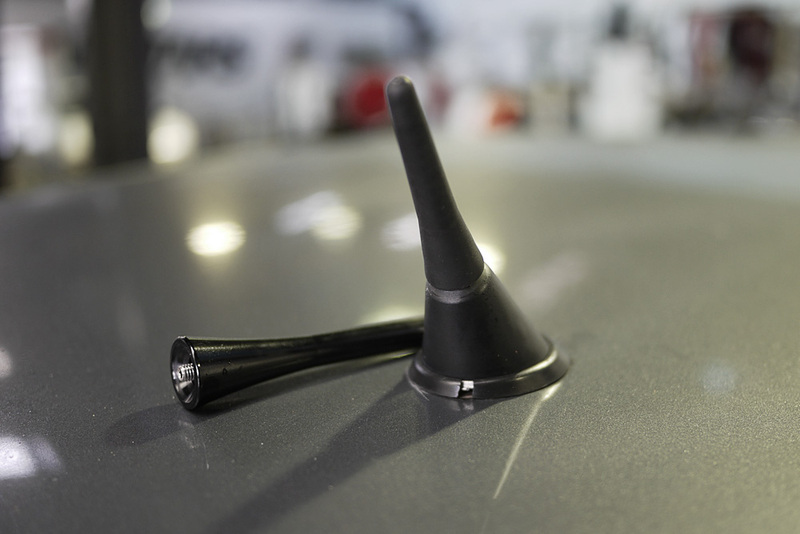 Small mod for the other day was this little rubber "sharan" antenna off eBay. It's rubber like the base so the longer glossy black stubby one is now replaced. PS: Spot the cut in the ring around the base of the antenna? I'm guessing the vinyl car wrap guys cut this to make it easier to wrap around the roof. I've since ordered a new piece through Dub Addiction. 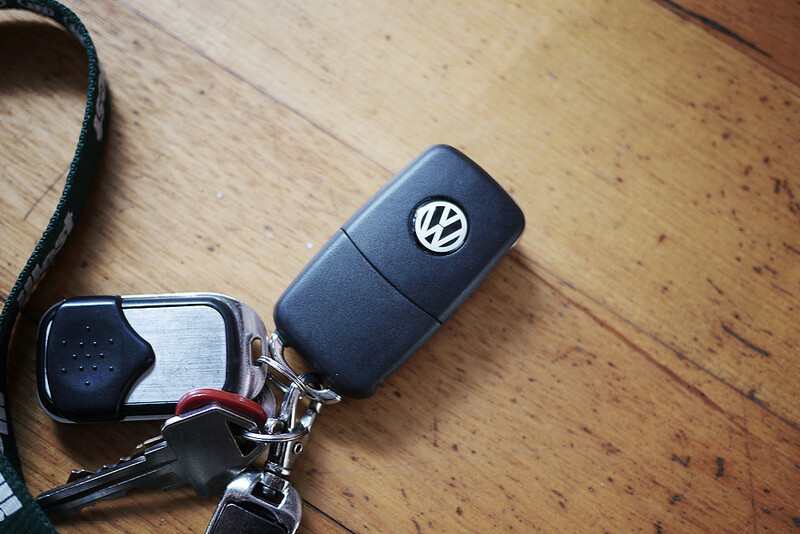 Also dropped my keys the other day and lost the little VW logo. I bought a new black and white one to replace (off eBay). 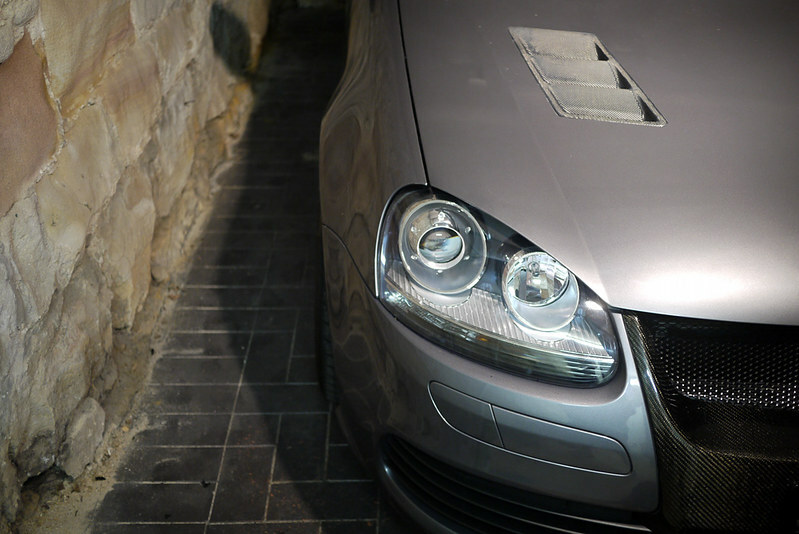 I visited ECS Tuning last week, primarily for wheel bolts, but ended up with one of these. 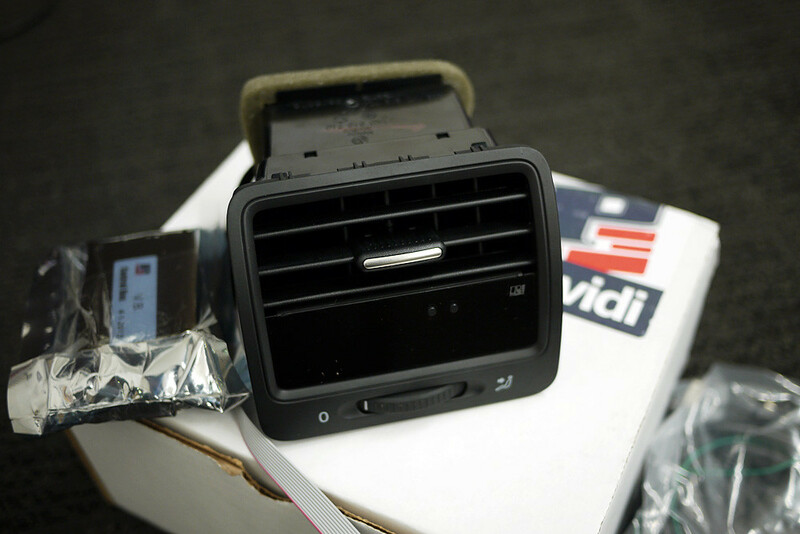 A P3Cars Vent Integrated Digital Interface. Installation was pretty easy. 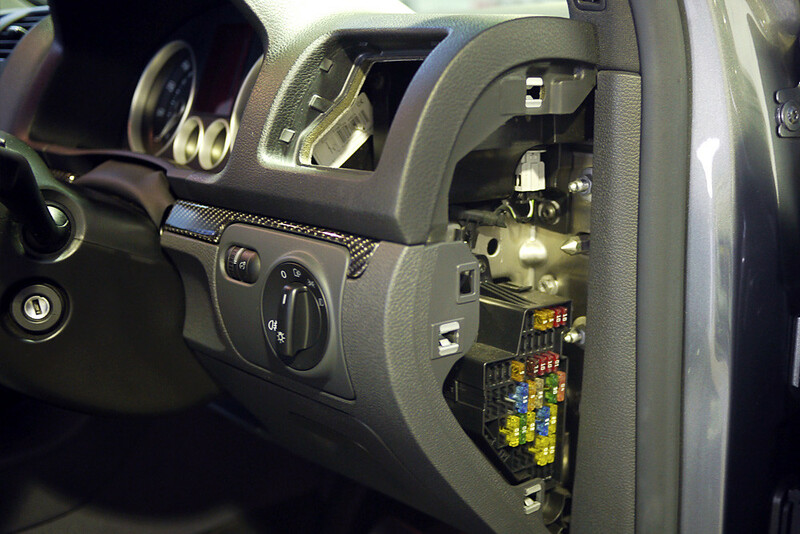 Take off the side panel which hides your fuse box, remove the air vent, install the P3Cars vent and plug it into your diagnostic port. 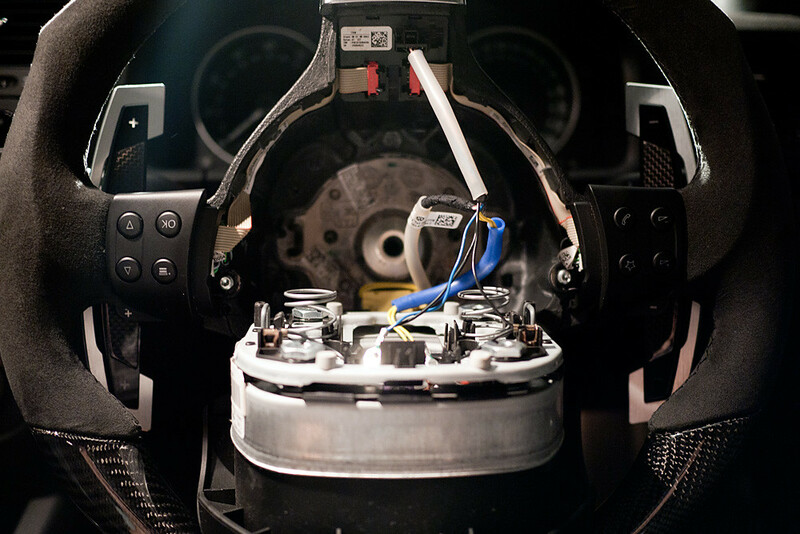 I spent a little bit more time making sure all of it was tucked away nicely so that you can't at all see any wiring. Lovely. All installed. 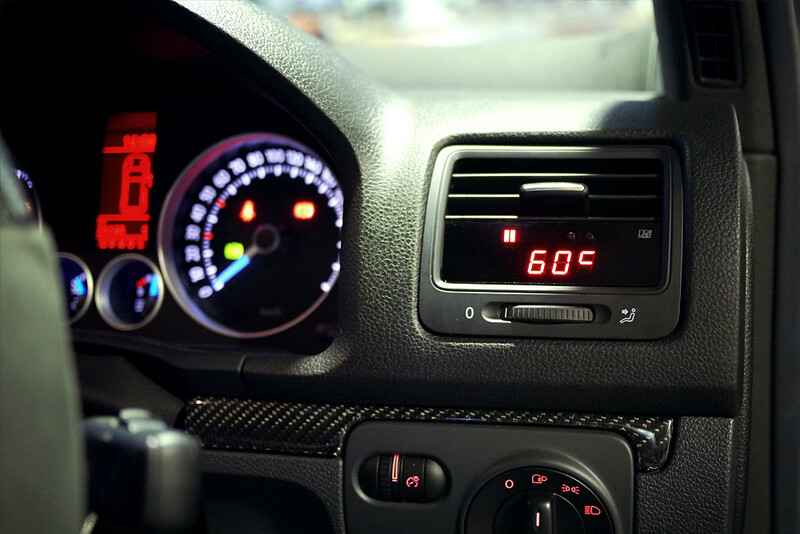 It displays Boost/Vac, Coolant Temp, Intake Air Temp, Exhaust Gas Temp, Throttle Plate, Speed, RPM with Shift-light, Battery voltage and perhaps most fun of all 0-100km/hr time. Also recalls the peak value from any mode which is pretty cool. I've not yet tested the 0-100km/hr but I've left it on speed and it's amazing how off my speedo is (about 7km/hr under). 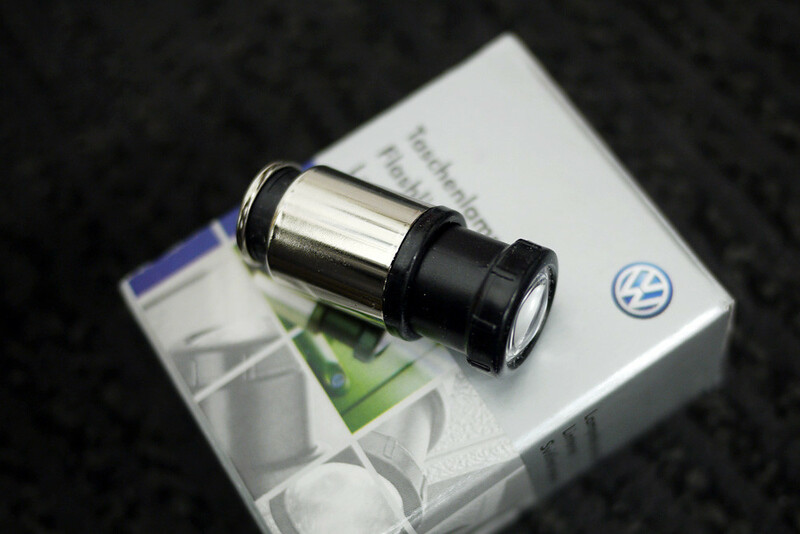 I treated myself to this VW flashlight from ECS too which plugs right into your ciggy lighter. 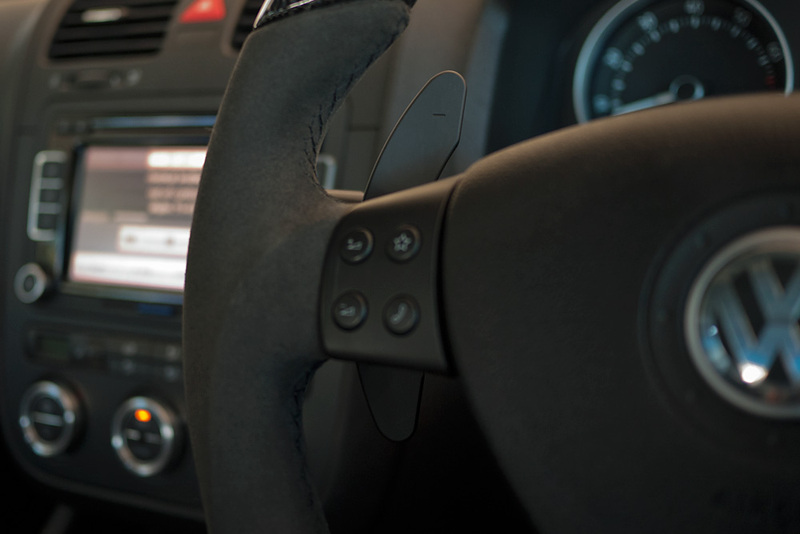 It's come in handy already when installing the P3Cars Vent Integrated Digital Interface. 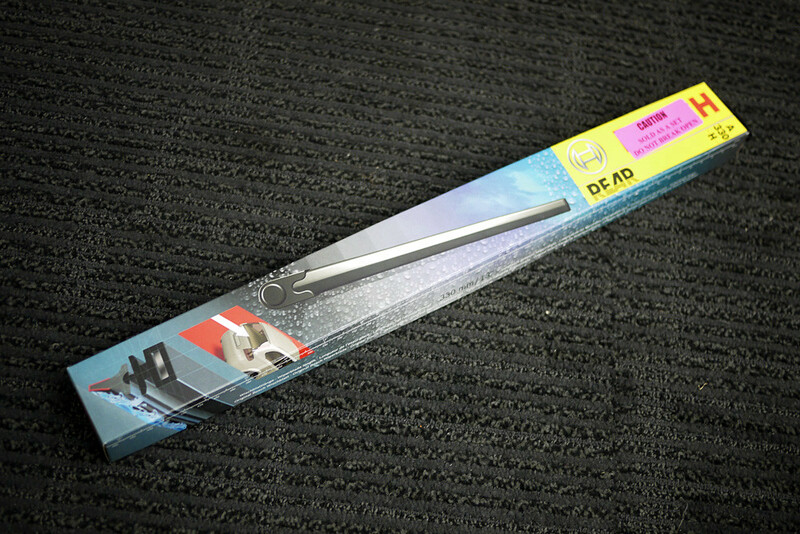 Also needed a new rear wiper which I've put right on. New black plastic looks lovely in comparison to the sun faded one it replaces (and I'm sure it'll work a lot better than the one which I had on before which was really starting to make some seriously loud noises). 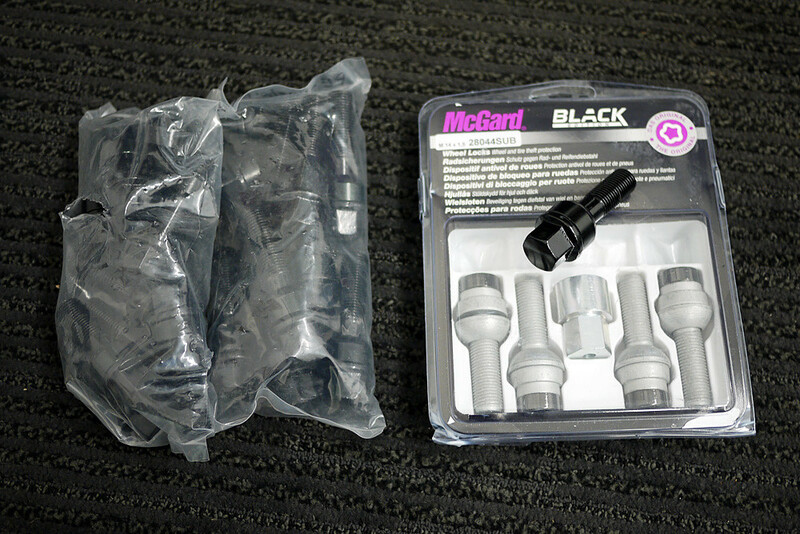 Also, from eBay I picked up some black lug nuts (longer than OEM for spacers up front) and also some longer black (tipped) lock nuts too. 10mm ECS hubcentric spacers with longer black Ichiba bolts and McGard black edition lock nuts.